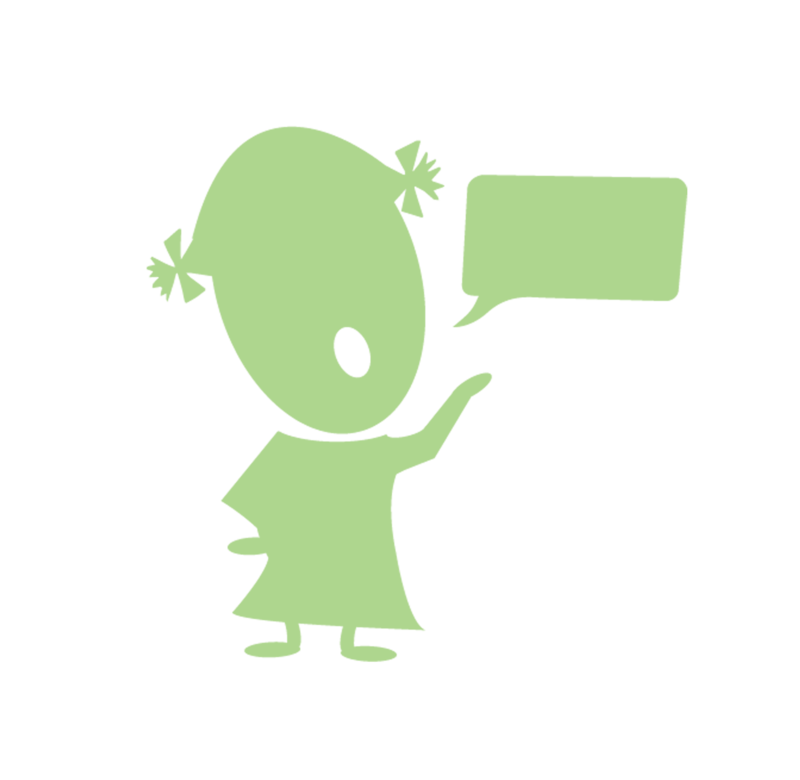 What is the best therapy setting for my child and how to I determine which pediatric speech pathologist is best for my child? 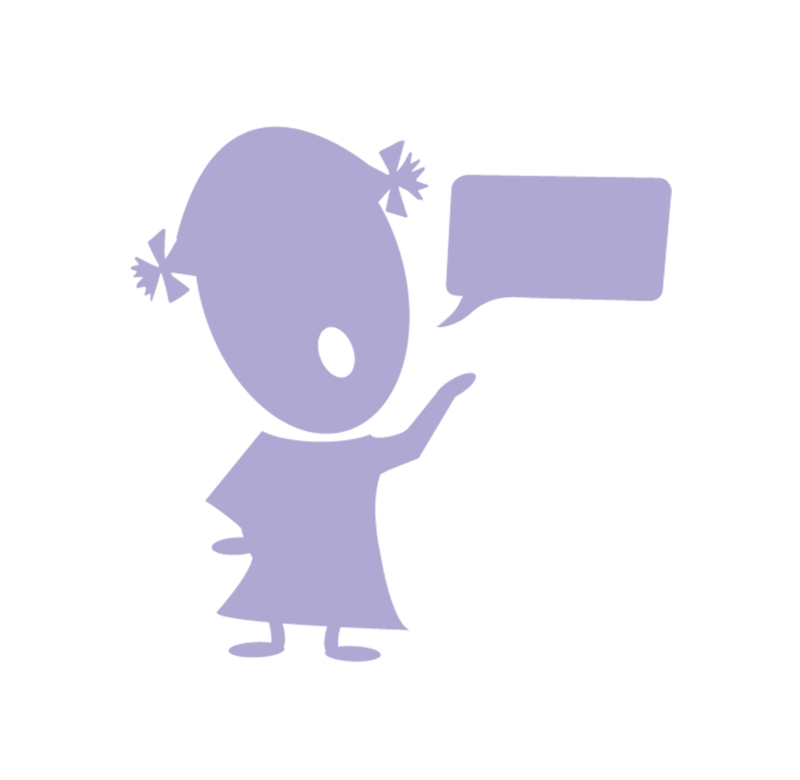 First and foremost, the rapport between the speech language therapist and your child is the most important element whether it’s in your home, at a clinic, in a hospital for children or at school. Secondly, the disorder that your child may have and the severity will also dictate your choice. Finally, convenience, cost and payment options will also likely influence your decision. That said, I put together the Pros and Cons of Each Speech Therapy Setting Infographic and the How to choose a Pediatric Speech and Language Pathologist Infographic to help you select the best situation for you and your child.If you have any questions, please feel free to call at 484-367-7131. 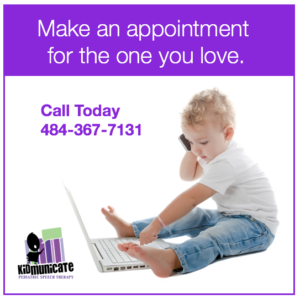 There are many factors that will determine which speech-language pathologist is best for your child and your situation. This How to Choose a Speech Pathologist Infographic will give you some questions to think about to help you choose the best option. There are essentially four primary settings for speech and language speech therapy. There are pros and cons to each setting. 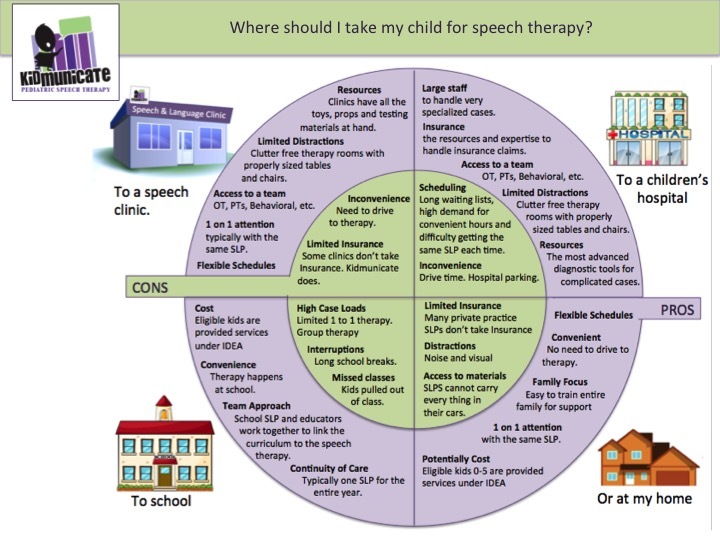 This Pros and Cons of Speech Therapy Setting infographic will help you understand the trade-offs of each speech therapy setting, so you can make an informed decision. Find an SLP who has the expertise and experience you need and who will connect with your child.